Firmhelm provide spray painting in two pack Polyurethane Paint Systems using only the leading paint manufacturers latest products. 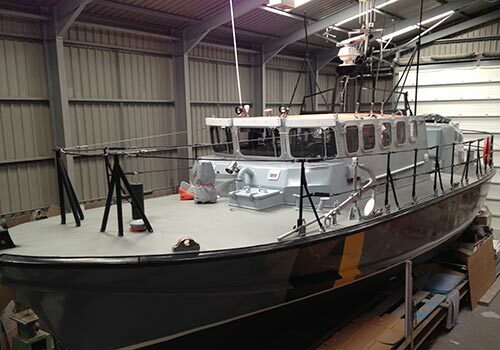 We have been working closely with Blakes Paints for in excess of 25 years and boast being one of their leading spray centres, we have transformed many boats back to their former glory by using the most advanced and durable products, together with carrying out the repainting we can provide help and advise when choosing new colour schemes and designs for repainting. 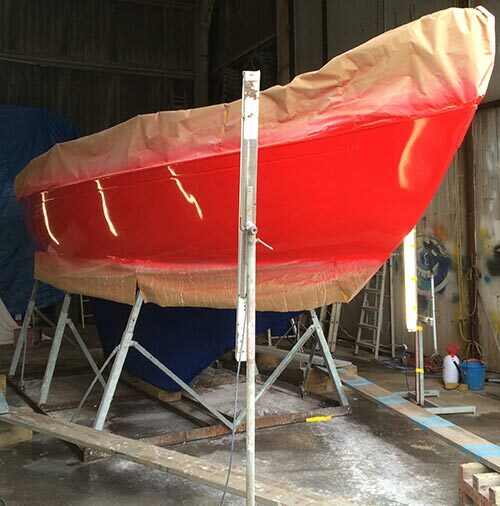 As well as our spray painting services we carry out hand painting for all timber, GRP and steel craft together with varnish, lacquer and antifouling works. 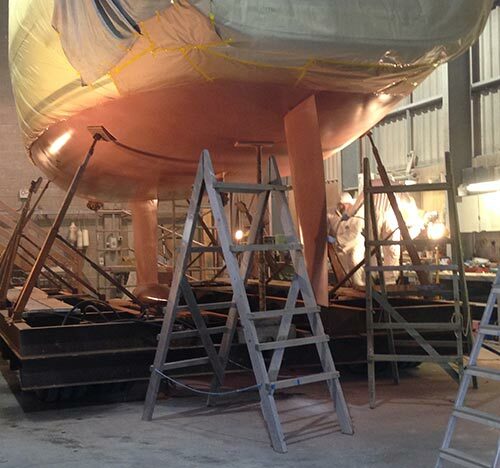 Sandblasting is available for a number of tasks from blasting during osmosis treatment, blasting of keels and steelwork to SA 2.5, prior to new coating systems and removal of old antifouling coatings.